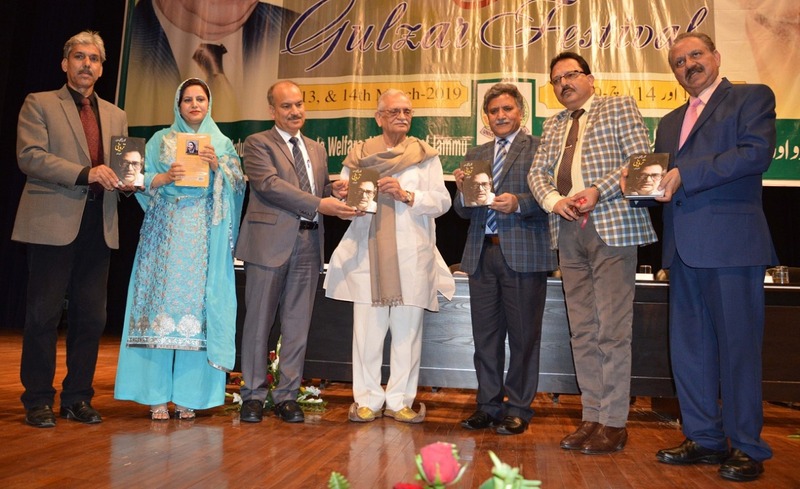 JAMMU, MARCH 12: The Golden Jubilee celebration of Jammu University today began with “Jashn-e-Gulzar”, with the inaugural ceremony witnessing participation of some world famous Indian writers and poets. Advisor to Governor Khurshid Ahmed Ganai, in presence of eminent Film Director, legendry poet and writer Gulzar inaugurated the three day high profile cultural event organized by the Department of Urdu and Dean Student Welfare as part of celebrations of the University which will continue for the entire year. Vice Chancellor Jammu University, Prof. Manoj K Dhar, Professor and a Canadian Urdu writer Dr Taqi Abedi, HoD Urdu, Prof Shohab Inayat Malik, Dean Student Welfare, Prof S S Jamwal, Director Information, Gulzar Ahmed Dar, Registrar University of Jammu Dr Meenakshi Kilam other dignitaries and a large number of writers, poets, intellectuals and lovers of literature from different parts of the Country and state attended the event. Speaking on the occasion, the Advisor said that such programmes provide a perfect platform to budding writers and poets to scale up their talent and skills in the world of literature. He hailed the contribution of Gulzar Saheb towards Bollywood through some of the most iconic films like Aandhi, Mausam, Parichay, Mere Apne, Maachis etc then to poetry and to Urdu, the language of his poetry. He said that Gulzar sahib is a household name in the country and a symbol and ambassador of India’s composite culture also known as Ganga Jamuni Tehzeeb. 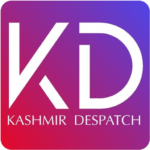 “Gulzar Sahib has been working with government organizations, including National Council for Promotion of Urdu Language (NCPUL) and for that his contribution has been of great value” Ganai said. Underlining the need for further promotion and propagation of Urdu language, the Advisor said that this language was born in India and is by all definitions and standards an Indian language. “It is a matter of great satisfaction that MoHRD has setup NCPUL and is also supporting the Universities for promotion and propagation Urdu language,” he noted. He said the government is taking all requisite steps to promote the language. Ganai appreciated the role of Jammu University for organizing literary events and stressed upon on holding of more such events. He emphasized on the need to work inventively to stem the challenges that are causing decline to the language and thanked the Department of Urdu for taking the call to support the language. Legendry Bollywood icon, Gulzar, presented a bunch of his heart throbbing creations which mesmerized the audience. Eminent poets from across the country and artists of Information Department participated in the event and enthralled the audience with their verses. The participating poets included Khushbir Singh Shaad, Mukesh Alam, Adil Farhat, Jeevan Sharma, Dharmesh Nargotra and others.